A former bookseller and teacher, Meg Leder currently works as a book editor in New York City. Her role models are Harriet the Spy and Anne Shirley. She is the author of Letting Go of Gravity, The Museum of Heartbreak, the coauthor of The Happy Book, and spends her free time reading, looking for street art, and people watching. She lives in Brooklyn, New York. You can visit her website at MegLeder.com or find her on Twitter @MegLeder. "The lucky readers of THE MUSEUM OF HEARTBREAK also get to fall in love - with this charming, fun, and buoyant book. Meg Leder's writing sparkles." 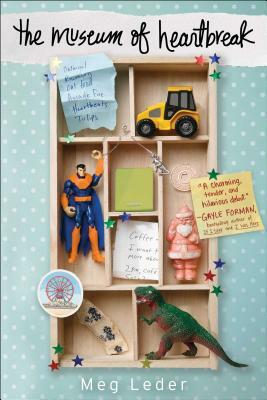 "Intertwining the twin ecstasies (and agonies) of falling in love and coming of age, The Museum of Heartbreak is a charming, tender and hilarious debut you will want to get lost in."